How to Download Both of Your Free Guides in One? Read First Partial Chapter of Each of Your Awesomely Free Guides. Then Download Both of your Awesomely Free Guides in One PDF! 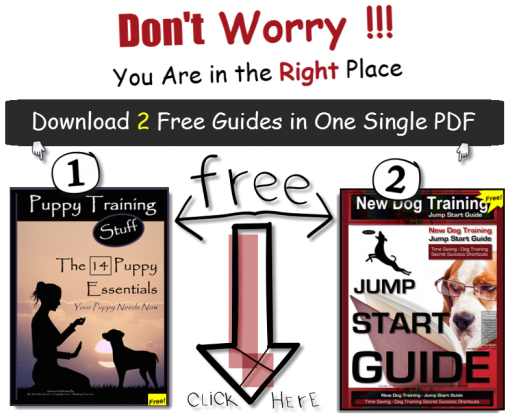 Hi, I’m Paul Allen Pearce, and whether or not you arrived here to DOWNLOAD your Free Guide:“Puppy Training Stuff, the 14 Puppy Essentials, Your Puppy Needs Now” or your Free Guide: “New Dog Training Jump Start Guide” (no matter which of them you want today) you get them BOTH for FREE. Also we recommend you first read both INTRODUCTIONS of each book directly below here. There’s no trickery in doing so, but we found that readers who do this online benefit more from the interior when they do. Plus it will only take a couple of minutes. We are happy to give them to you too freely – yours to keep, read, learn then teach your new puppy all the whispering stuff the pro trainers teach. And they are both Free right now! You will find the 2 Free Guide in One-Handy-Dandy Downloadable-PDF in various links and graphics throughout this page. It would benefit you greatly to take 5 minutes and read all the words written here for your new puppy or dog training consumption and knowledge. You’ll be ldog-leap-years ahead of anyone else – Guaranteed. It is always exciting to have a new puppy. A new puppy is a great addition to any household and will provide years of joy, laughter and companionship. However, a great deal of time, energy and money is required to train and provide the care needed to keep them vivacious and healthy. You might have already completed your diligence and decided upon the breed of your new puppy. Now you need to research and then prepare your home with the items that your puppy must have upon arrival. Being prepared for your new puppy is the correct way to make them feel loved, provided for and comfortable in their new surroundings. This demonstrates that you are reliable, which begins to garner their respect for the pack leader. They will spend the first few nervous days adjusting to family members and pining for absent brothers and sisters. It is up to you to make that transition as smooth as possible and you can do this by already having all of the essential items in the house upon their arrival, and of course loving them. What will your puppy need upon arrival to a new home? His new house needs to be puppy-proofed, and stocked with the fourteen essential items that all puppies need. When shopping for your new puppy, you will discover a tremendous amount of everything that a puppy needs, plus many more items to spoil your new little furry companion. Further, you will learn about the things puppies need during their rapid growth. It is thrilling to have a new puppy and shopping for them is always fun. Whether at the local mall, pet store, boutique pet supply, or big-box chain, you will experience no problem locating the essential items that all puppies should have, but I have also included some links to assist you. Included in this guide are puppy ownership responsibilities such as, preparing for a puppies arrival, vaccinations/deworming, house-training, teething, and what to expect the first few days of owning a puppy. 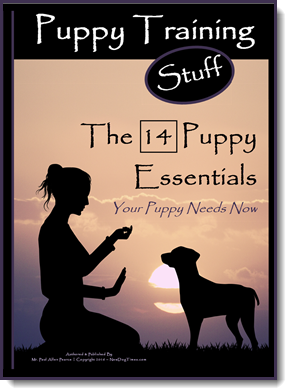 Additionally is the list of the 14 essential puppy items with comprehensive descriptions. This is valuable information that all new puppy owners should know before bringing their puppy home. Purchase it now and begin reading the wide-ranging information on the 14 Essentials that includes how to choose collars, leashes, toys, bedding, crates, gates, treats, puppy foods, identification, grooming tools, bowls, and much more. We look forward to helping you improve your essentials knowledge and guide you during training your dog. This Essentials guide is a perfect companion to one of my breed specific training guides. This chapter provides information about how to prepare for owning a new puppy, and navigating the first few days. Explanations that are more detailed can be found inside my breed specific dog training books. Have you calculated the cost of owning a dog and any extra costs associated with the particular breed you are considering bringing home? Besides initial costs of purchasing the dog from a reputable breeder, there are spay/neuter and vaccination, collar, leash, crate, pen, and gate costs. Annual costs are food, toys, possible veterinary trips, boarding, walking, and pet sitting. The average yearly cost of owning a dog ranges from 750.00-2,500.00, and any emergency surgeries or accidents can add thousands to yearly totals. That is why pet insurance is something to consider, especially with active dogs and breeds that are known to be less healthy than others are. Before proceeding to puppy ownership, you must know that you can meet the financial obligation or it will be unfair for your puppy. When choosing a breed, all puppy owners have to set aside the adorable factor and get real with themselves. All breeds have different needs and if you are unable to provide those needs then that breed isn’t the one for you. Before you even get to the point of breed selection, you need to consider your current lifestyle and plans. If you are unable to commit time for training, daily exercise, and companionship, then at this phase in your life, you shouldn’t bring a puppy into your home. Puppies require time commitments, love, guidance, training and friendship, and it is unfair to them and you if you cannot provide it. Each year thousands of puppies are abandoned, given away, or end up in shelters on death row. Please take the time to reflect and consider if you and your family are ready to bring home a new puppy. Your lifestyle must match your dog’s needs, and if it does the rewards of owning a puppy are significant and worth the time and effort to produce an obedient, loyal, loving puppy. However, you must be ready to make a real commitment and choose objectively. The reality and good news is that with over five-hundred breeds to choose, there will be an ample supply that fit your adorable factor as well as match your lifestyle. You have calculated the costs and found that a puppy fits into your budget, and then you went through the many breeds and matched one to your lifestyle. Afterward, you then found a reputable breeder and are now on the way home to your house with your new furry bundle of joy. “What should you have done beforehand?” You should have prepared your home so that your puppy arrives to a safe and comfortable environment. 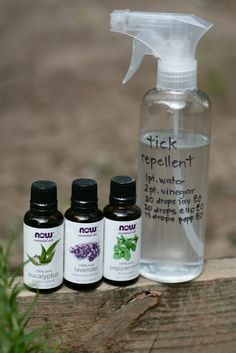 This is done by scouring the area where your puppy will be spending most of his time. All loose items such as coins, small pieces of plastic, metal, jewelry, and anything that a puppy could swallow requires removal. This includes backpacks, purses, umbrellas, trashcans, and any normal thing you usually wouldn’t think needs removal, but one thing you can count on is that puppy curiosity is relentless and he will explore every nook and cranny. Next, all power and other cords need to be moved out of puppy reach, if you have to rearrange lighting then so be it. Then section off the doorways to workshops and other rooms that will be off limits to your puppy because they pose an unsafe environment. Remove all toxic chemicals from puppy height and remember when you sequester him in your bathroom to place the toilet paper, cleaners, towels, and curtain out of your puppy’s reach. If you have a fireplace, it will need to be securely sectioned off so that he cannot wander in and play in the embers and ash. Moving forward the entire family will need to remember that a new chewing monster now inhabits your house and to keep the floor and other areas puppy proofed. This requires changing habits but saves money and frustration. After your new puppy has performed his first pee/poop in the predestined spot in the yard, then bring him inside, unclip the leash and let him do as he pleases and encounter creatures on his own terms. Never force yourself or other animals on a pup, allow them to find their own comfort level and engage using their own decisions. This is the beginning of the all-important socialization process. If you have other pets around, you should first consider placing your puppy inside his pen so that there is a barrier between him and them. The first day is acclimation to new surroundings and humans. In addition, you can expect that he will be missing his littermates and mother. 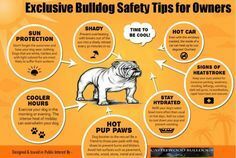 Do not over handle your puppy during the first days, allow him time to adjust and engage with others by using his own will. ~~ Introduction Two, Guide 2. 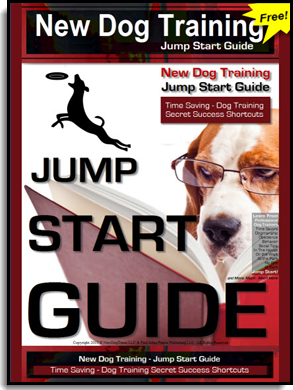 I put this following partial piece of the New Dog Training Jump Start Guide together as an answer to my many reader’s inquiries through social media and direct email. Although I touch on some of this in my books, I realized more in depth information would be helpful to a great many people. Please feel free to contact me with more questions that you have and I will continue to address them both through email and by putting together these helpful tutorials, blog posts, and social media. Humans know that you can achieve more with a smile and kindness than with using a frown and harsh words. This same dynamic applies to dog training. A few easy to remember mindset rules to establish before training your puppy are these. 1. You are not exceedingly tired. 2. You will not rush training sessions. 3. You are not pressed for time. 4. Not in a bad mood. 6. You are confident, calm, cool, and collected. 7. Even when flustered you can maintain your composure and physical reactions. 8. You are excited to spend time with your puppy. 9. You are able to smile and laugh at yourself and your dog. Always, remain patient with your dog and do not force changes. Work gradually and slowly. Life is much easier for your dog if you are in charge, leading, and providing for his needs. Leading as the alpha assists in the act of working together with your dog towards the goal of understanding the rules of conduct and obedience. An effective incentive is to make everything you do seem fun. Always refrain from forcing your puppy to do anything they do not want to do. Highly prized treats are usually a great incentive to do something, and you will find that a fun, pleasant, friendly, happy, vocal tone combined with the treats will be ample reward for good behaviors and command compliance. Other rewards are praise, toys, petting, and games. The art of dogmanship has been described as a partnership of species in which instinct and intuition are utilized over logical thought to enable work in collaboration. Humans need to be flexible and responsive, and able not only to lead, but also to follow. Humans need to open their sensory awareness and place high importance upon nonverbal communications. It is further defined as the understanding of how dogs communicate with one another in their own canine language and being able to communicate with dogs in their language. When you understand some or most of the techniques dogs use to communicate with each other then you can apply it when communicating with dogs. To do this you have to be able to isolate your human emotions and put the needs of the dog at the forefront. When a dog is born into this world, environmental and genetic factors will effect that dog’s behavior. Additionally they have behaviors coded into their DNA that dictates their inherent canine behaviors. In dog-to-dog communication, every movement, growl, and gesture has a meaning. This can be extremely subtle in action and difficult for humans to see and interpret. Although dogs are intelligent and can learn human communication methods, it is not always the most efficient way to communicate with a dog. Dogs are simpler than humans are, and it is more challenging to teach a dog to understand human communication than it is to use dog communication methods to communicate with your dog. 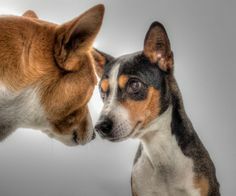 If a person is able to be open up to the idea, then they can learn the language dogs use to communicate with each other and incorporate that into their communication with dogs. 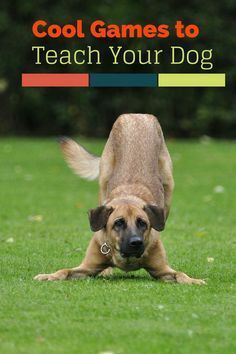 Using this method, you begin to work in harmony with the dog and their natural instincts, instead of against them. Commonly humans forget to address or never consider what a dog’s natural instincts are. Embedded in their genetic code is the thirst for rules, boundaries, and structure. Dogs enjoy knowing what the rules of etiquette for all situations are, and having the structure of a daily schedule for walks, playtimes, exercises, and feedings. They also crave consistency in actions, and this is something that some humans will struggle with providing. 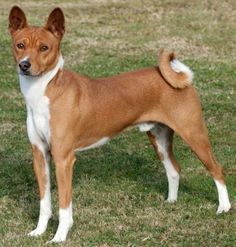 Therefore, it is essential to provide your dog with the things that they need, such as physical and mental exercises, leadership, play, rule establishment and enforcement, and the essentials that are food, water, shelter, love, kindness, and all the other things that dogs need to live a fruitful life. 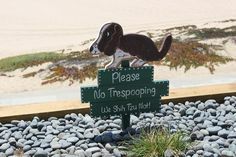 The entire family should understand the rules of etiquette for your dog so that rule enforcement is always the same. An example of failed consistency is if your daughter is reprimanding your dog for an action that you let happen, there will be a conflict in your dog’s brain. Your dog will not know which way to act and this will cause your dog distress and possibly anxiety. Human behavior can have an entirely different meaning to a dog, and this is why commonly a dog-owner may be perplexed by his dog’s behavior. The owner is thinking in human terms and not in dog terms. Negative dog behaviors are mostly a result from something missing from their life, and instead of blaming our dog for its behavior, we must figure out the root cause of this negative behavior and remedy it for our dogs, thus showing our leadership abilities and doing our job as their leader. 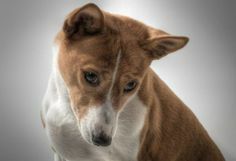 A dog’s temperament is shaped by the owner’s ability to provide him with what he instinctually needs. Educating yourself about dog communication and behaviors is your first step to achieving understanding of natural canine communications (dogmanship). 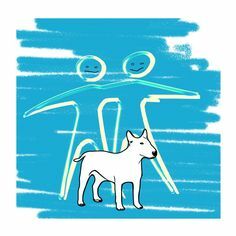 Owning and properly caring for a dog requires a knowledge base that has been diagramed and written about to help you learn through personal observation. Studying your dog’s behaviors and allowing your intuition to guide you will enable you to learn dog communication techniques. I am including downloadable charts and links to assist you in getting started with the basics. 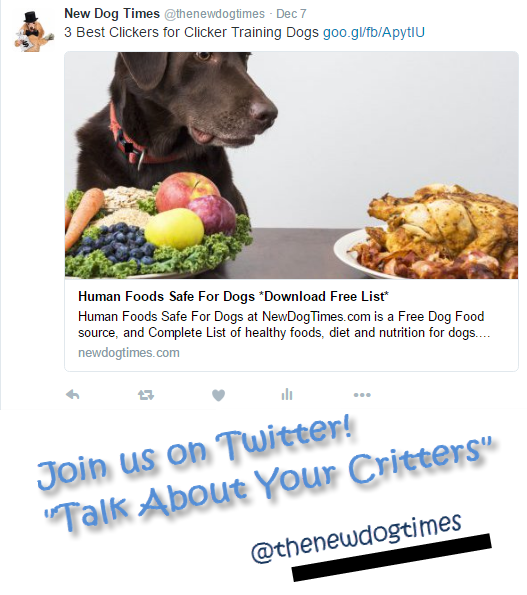 simply Click the Big Puppy But Graphic Below and Download Both Guides Free! dog leash, how to train a dog, new puppy, Puppy Training. Bookmark. Pingback: Biting and Nipping Puppies and Dogs, a Short Tail of How to Nip Biting in the You Know What!